One of the most popular activities for tourists on the island of Kauai is hiking. The Garden Isle is known across the world for its breathtaking vistas, its gorgeous and lush green mountains, its ocean-side cliffs, its hidden waterfalls, and it’s unmatched sunrises and sunsets. Of course, not all hiking tours or excursions are created equally. 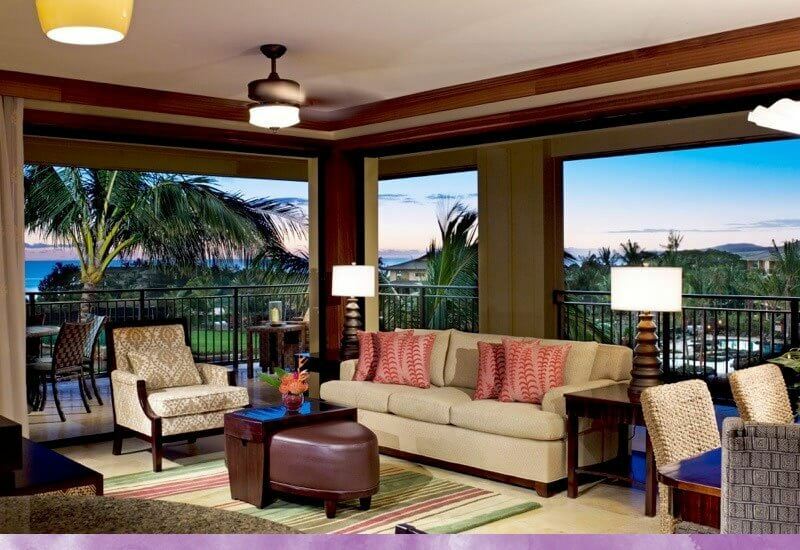 At Koloa Landing® Resort, we do our due diligence to make sure that we recommend only the best of the best. When it comes to unique Kauai hiking tours, it doesn’t get better than Hike Kauai With Me. This is an opportunity you won’t want to miss, rated unanimously as a can’t miss on popular review sites, and of course highly recommended by our staff. Hike Kauai With Me is a small company whose owner, Eric Rohlffs, is not only responsible for the unique tours he takes guests on, but is actually responsible for carving out his own trails! That’s right, these are actually one of a kind, handmade trails that the owner goes about creating across the island, and it takes him about a year to create a single trail. He has an unmatched knowledge of Kauai’s intricate countryside and coastlines. The location of his special trails and off-trail routes are a closely guarded secret, ensuring that the trail and its beautiful sites and destinations are left private, pristine and absolutely untouched and uncluttered. He only takes out small groups, and he tailors the hikes to different experience levels, from beginners to adventurous and advanced explorers, from families with children to adults-only trips. You choose where on the island you want to go, or which specific sites or features you want to see and experience, and he’ll take you there and ensure you get the best possible experience. This includes the popular hot spots such as the Napali Coast or the Blue Hole, the Kaapoko Tunnel, Waimea Canyon and much more. With Hike Kauai With Me, you’ll receive a truly unique experience you won’t be able to find elsewhere, and you’ll be able to visit hidden gems that other tourists will never even know existed. We strongly recommend Hike Kauai With Me, and while you’re staying with us here at Koloa Landing® Resort, we’ll help you plan out all of our excursions and activities on the island, ensuring you always find the best deals, and choose the best vendors and companies. You can learn more about Mike and his company by visiting his Facebook page.